I love this! 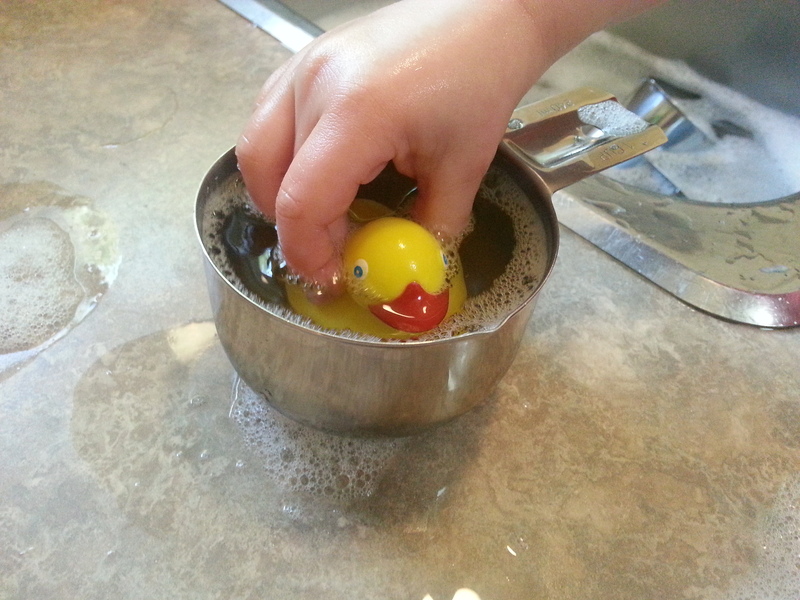 I would say it’s a great sensory activity, too! 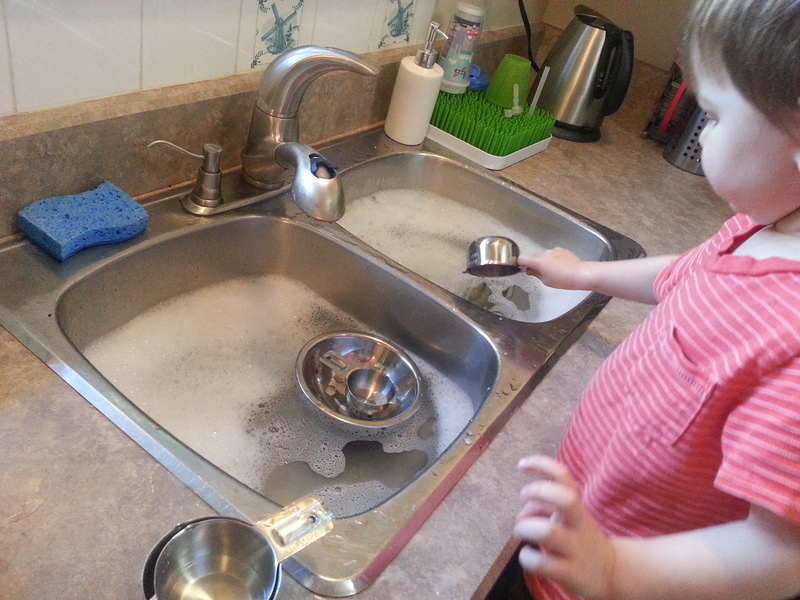 A kid who likes chores… dream come true! I wonder how we can foster a love of vacuuming? My little one vacuums with her play vacuum whenever we vacuum with the real one. Too bad hers doesn’t work! Hey, that’s genius! 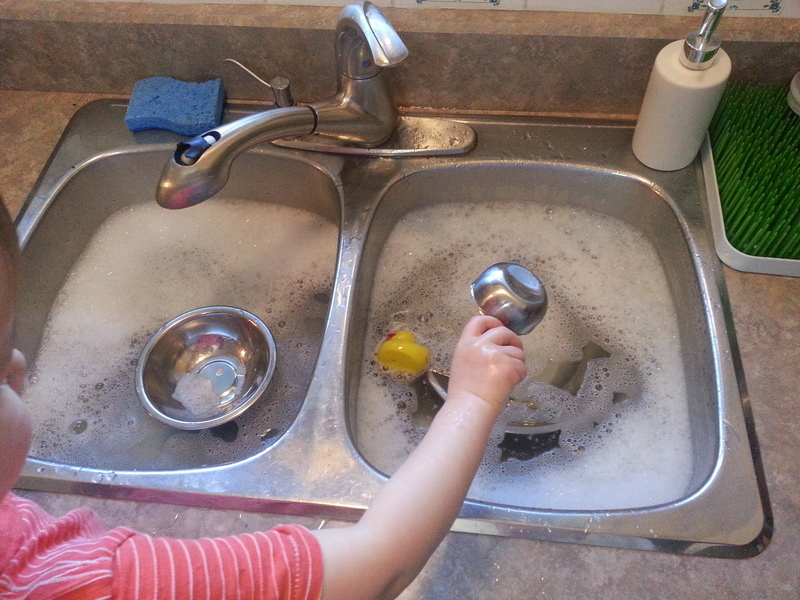 Kid sized cleaning supplies that actually work. I’d buy them.